General English courses provide students of all levels, from Beginner to Advanced, with a fun and dynamic way of improving communication through English. Specially desinged English courses allows students to accomplish task based learning objectives and real world practice with exciting vibrant lesson plans. 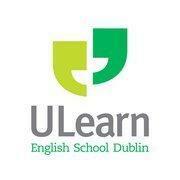 Students come to ULearn from all over the world to learn English in Dublin. This is because of our teaching methods are effective and fun. Our Academic Director oversees every students entry, progress, and continuous assessment throughout the the length of the students learning path. You will notice your improvement is rapid and consistent. It is now easier and more economical than ever to learn English in Dublin. As you can see, General English courses also allow students from outside the EU to learn English in Ireland with a Work-Study Visa. Contact us today for more booking, information, and special offers. Learn is now enrolling for our high quality Exam Preparation courses. ESOL exams include the First Certificate (FCE) and Cambridge Advanced (CAE). ULearn also offers IELTS preparation courses. These external assessment exams offer an important means of measuring and recognizing your progress as a student of English. The set of Cambridge and IELTS exams offered here prepare you in the best way by using past papers, examples, and drawing on our teaching and assessment to ensure you are well positioned to pass the exam of your choice. ULearn provides a range of Business specific English courses in Dublins designed for the student or company requesting them.English for business courses help to improve communication in the work place. Beginning with adapted language for a range of employment and executive areas, our courses can rapidly improve your ability to interpret data, interact and converse with clients, and improve vocabulary for in house and client meetings. We can also prepare individuals or segments of a workforce to sit the external BEC examination, held at intervals throughout the year. Contact us today for more information and an English for Business Prospectus. We can also provide you with Special Offers and assist you with Booking availability. Note also that you or your company may benefit greatly by enrolling on one of our Online Learning Courses so your learning can be assessed at a distance and your study time managed by you rather than dictated by class times or locations. We will be happy to provide you competitive rates and you can even join the Online Learning Courses for a FREE trial. Contact us today for more information. Individual English Courses allow you to take one-to-one lessons at a time to suit you. You will be given a free 'Needs Analysis' before you begin to target your specific strengths and needs to maximise the effect of your English class time. You can also take part in one-to-two and reduced number groups. Flexible timetables are available to you - let us know when you want to study with one of our experienced teachers and we will arrange it for you. Contact us today for more booking, information, and special offers! One of ULearn’s most popular courses is the Junior Programme. Every year, ULearn customizes packages for groups from all over the world who come to Dublin to improve their English and to experience the wonderful culture Ireland offers! ULearn organises these courses all year, every year so your group can come at any time. Our Junior programme can be requested for groups of all sizes (10 pax min) and 1 leader goes completely free with every 15 students.